TEXAN PATRICK Ganne, from Alsace, is doing the Camino in stages, on behalf of his mother, who is now too elderly. Mr Ganne, 71, said: “I first thought about it 15 years ago but got busy doing things. It was never convenient or there were other priorities and obligations. 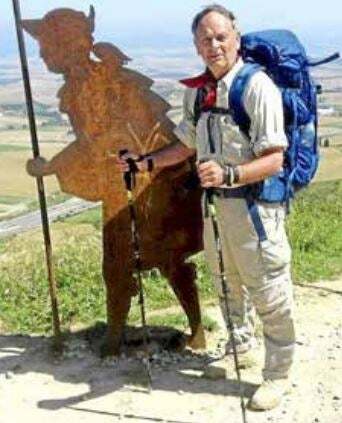 Mr Ganne walked from Saint Jean-Pied-de-Port to Logroño (170km) last year over 10 days in June and July. He will do a two-week leg this month and feels this is a ‘sensible’ approach. He said: “It was more than I expected, in that the courtesy total strangers extend to one another is absolutely fantastic. “You are thrown together in a room with people you don’t know; men and women. And everyone respects each other and treats each other courteously. “I remember how an elderly British woman took on a Catholic priest over homosexual marriage and they had lively discussions about what’s right and wrong, and agreed to disagree. 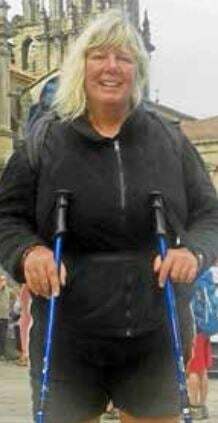 Astrologer Stella Woods, 56, from Australia, walked from Saint-Jean Pied-dePort in 2013, after taking a sabbatical break. “I realised there was a whole esoteric, Pagan past to it. The French Way runs east to west towards the setting sun, following the path of the Milky Way – it’s overhead when you walk it at night – as well as the path of the sun. “Now the path is well marked with hostels and shells, but people have done it for thousands of years and would follow the sun in the day and the Milky Way at night. “You get very close to nature when you’re walking it and it’s true that you can see the stars ahead, marking the path. “Then, when people reached the coast at Europe’s most western point they would see the sun setting over the sea at the end of their journey, and I discovered that it was a metaphor for the pathway through life. Like Mr Ganne, Ms Woods was struck by the 'tremendous sense of love and cooperation' among pilgrims and the way people 'started to bond'. She did much of the walk with an Italian man she met and she said a curious aspect was that around a dozen times 'what we talked about during the day would manifest in a kind of magical way later on in the day'. “To give an example, one day I told him about the cane toad problem in Australia and the rabbit-proof fence and a trip to Scandinavia where I’d seen Viking boats. And at the hostel there was a Viking boat in the front garden as well as plaster casts of rabbits and toads. “As a result of becoming close, we have since done a business project, making a moon calendar. It’s all about the people you meet, who often become a life partner or business partner or change the direction of your life. Eileen Gillon, 67, and husband Chris ended up moving from England, where they ran a pharmacy, and buying a gîte d’étape at Montlauzun in Lot to welcome pilgrims on the Le Puy-en-Velay route, the main French start point. Mr Gillon cycled it in 2002 and from May to June, 2003 they walked from Le Puy to Pamplona as the weather allowed carrying fewer clothes; then Pamplona to Santiago from September to October, as leaving it to 2004, would have meant doing it in a busy ‘holy year’. They bought their house the following year. 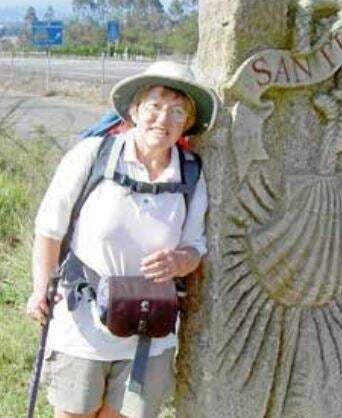 Mrs Gillon said they had been fascinated by the Camino while on holiday in France as they kept coming across Camino routes. “It’s a physical and mental challenge to keep going and putting one foot in front of the other. They met an Anglican priest who had been sacked for being gay; an ex-policeman from Lille walking to decide what to do with his retirement and a stressed France Télécom worker from Paris, who said ‘I’m doing it to clean out my hard drive’.